Witch Wars is by debut author Sibeal Pounder, with illustrations by Laura Ellen Anderson. 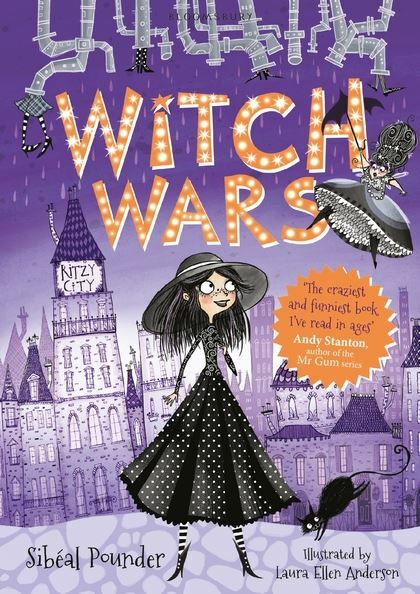 It’s the story of Tiga Whicabim (an anagram of I AM A BIG WITCH), who discovers she’s a witch and that she’s been signed up to take part in the annual Witch Wars, with no prior warning or training. Think Harry Potter and the Triwizard Tournament, only for younger readers aged 7+. Tiga is a likeable heroine, taking the opportunity to escape from her obnoxious guardian Miss Heks (who serves cheese water for dinner) with Fran the Fabulous Fairy, down the plumbing pipes to Ritzy City. Ritzy City is an underworld of witches and fairies, cohabiting happily on the whole. Curiously, there don’t seem to be any male witches or fairies, which intrigued me. How are new witches and fairies created…? Anyway, Ritzy City is not very ritzy, being decked in shades of black and grey, but it is full of colourful characters and exciting places. I particularly liked Peggy Pigwiggle, one of the Witch Wars contestants who befriends Tiga. There are some great names in this story, not least the bakery Cakes, Pies and That’s It Really, which made me laugh out loud. 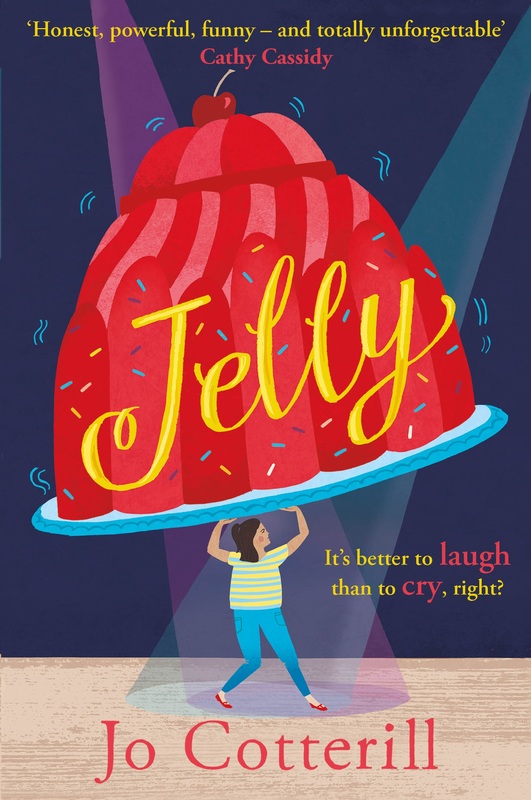 This is a nice little story with some clever touches and although the proof copy I saw had only a handful of illustrations, they were certainly a highlight, really beautifully drawn. From a critical point of view, I found the large cast of characters difficult to handle since I didn’t think they were distinct enough – there are nine witches in the Wars, each with an assigned fairy who broadcasts their progress on TV. I lost track a little of who was who, and felt that perhaps we could have done with fewer contestants to start with, and a much nastier Felicity Bat. The combination of reality (eg TV Big Brother-style) and fantasy didn’t always quite work for me, though younger readers may not have that problem. The winner of Witch Wars gets ‘to rule over Ritzy City and beyond’ which seemed rather unlikely, given the lack of training and competence of most of the contestants! But the spells and potions are lovely, and oh, that we could all repeat ‘TV, TV, TV, TV, TV!’ and see a screen appear in thin air! Witch Wars is out on 12th March, published by Bloomsbury – and many thanks to them for the proof copy. It’s the first in a series.